The Handley Page Hampden was a British WW2 medium bomber, it was not a very practical aircraft and it's cramped narrow fuselage resulted in it's air-crews referring to it as the "Flying Suitcase". 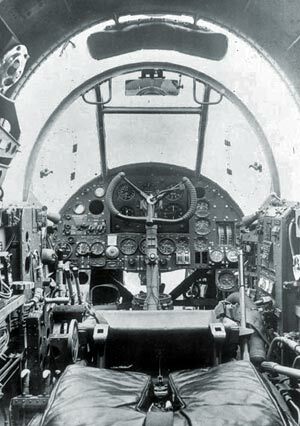 The Hampden notably took part in the first night raid on Berlin and the first 1,000-plane raid on Cologne before being withdrawn from Bomber Command service at the end of 1942, the remaining aircraft serving as a long-range torpedo bomber and various other maritime duties until early 1945. This picture of a Handley Page Hampden has been digitally re-mastered from a picture in the public domain. We only authorise non-commercial use of the information on this page and particularly encourage their use for educational purposes. 3) Use of information on this Handley Page Hampden page, or any of our pictures on websites re-distributing copyright free material is strictly prohibited.